For those running around summer days when you really don´t want to spend too much time in the heat of the kitchen, but still want to enjoy a healthy snack or lunch, check this smoothie out! In the cooling down of the evening steam a good amount of carrots and beets. Let them cool off and afterwards put them into a plastic container in the fridge until the morning. Be sure to have enough for at least 2 or 3 smoothies. My recommendation is 3 carrots and 1 beet per smoothie. And why not just juice the carrot or crunch it down raw, you say? The beta carotene in carrots, that in our bodies is transformed into vitaminA is much better absorbed after a bit of cooking, steaming or boiling. Eaten raw, your body will be able to absorb about 3% of the beta carotene as opposed to after heating the percentage shoots up to 39% The beta carotene gone vitamin A in our system is good for gaining and maintaining a clear skin and a good vision. 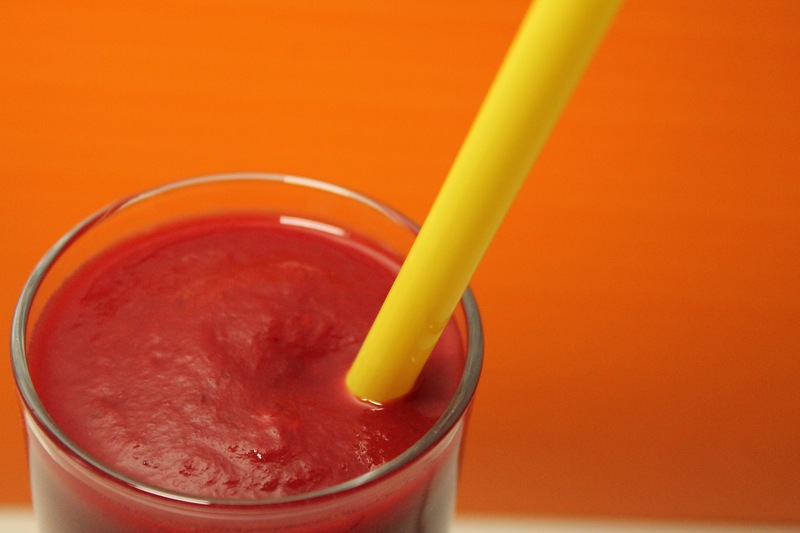 Add some lingonberries and raspberries for that tangy sweet taste, blend and you are good to go!